BANGI, 3 Dec 2012 – Islamic educators owe a debt of gratitude to Said Nursi (1878–1960), the Turkish scholar, theologian and writer who inspired a movement of faithleading to the revival of Islam in Turkey and the rest of the world. International academics who met at a forum in The National University of Malaysia (UKM) here today agreed that Nursi, who advocated teaching religious sciences in secular schools and modern sciences in religious schools, played a vital role in Islam’s revival. The scholars from Turkey and Britain said Nursi did not differentiate between everyday mundane tasks and religious rituals if they were performed with sincerity. He emphasised the importanceof the Niat or intention of deeds carried out or speeches made. The forumSaid Nursi’s Concept on Science, was organised by UKM’s Institute Of West Asian Studies (IKRAB), The Malaysia-Turkey Cultural Association (MTCA), the West Asian Studies Research Group (AKRAB) and the Department of Civil and Structural Engineering. They said unlike many Islamic religious ulamas at that time and even today, Said Nursi did not differentiate between the holy and the so-called wordly matters. The academics were Professor Dr Colin Turner and Mrs Mahsid Turner from Durham University in Britain, Prof Dr Faris Kaya of the Istanbul Foundation for Science and Culture in Turkeyand Associate Prof Dr Ismail Latif Hacinebioglu of Demeriel University, also in Turkey. Said Nursi, who became a teacher, said any Muslim who carried out noble deeds and rituals such as prayers or fasting with the intent of impressing other people, would have done so in vain. But a Muslim who does even the most mundane task of cleaning a room or tending the garden with Allah in mind would be rewarded by the Almighty. The scholars said the subtle differences are part of mainstream Islam, but Nursi, who became a high school teacher, wanted to openly criticise those who lacked sincerity. He lived at a time of great upheaval, when speaking one’s mind could mean prison time or even exile – which was what happened to him several times. Prof Kaya, a civil engineer by occupation, spoke about the lack of appreciation of religion in the West during Nursi’s lifetime. Prof Kaya is a firm believer of Nursi’s assertion of technology for the advancement of Islam. However, even today in his own country there are many ulamas and scientists who are puzzled by his declaration that his engineering skills are used for the sake of Allah. They didn’t see the connection between Science and Islam. Assoc Prof Ismail said Nursi went beyond the usual “cause and effect” in science and asked “why” something happens. He said Western scientists had lost faith in God and sought to find every cause in nature, but they failed to do so. For example, the leading scientists were still arguing about how the Universe came into being, with no end in sight. However, Nursi’s elegant response was to see nature and the universe as sacred, with God as the creator. While westerners studied how the sun rose and set, Nursi saw deeper meaning into why Allah created the sun – which is for its life-giving properties. Prof Turner, a convert, said Nursi became famous after authoring his great works Risale-i-Nur, or Documents of Light – a collection of books on Tafsir (Quranic interpretations). In fact, his commentary does not keep the verses (ayat) order when commenting on their meanings, unlike the methodology of classical Islamic interpretations. His is rather interpretations relevant to issues of the day, based on doubts about the basic doctrines and principles of Islam during the early 20th century, which are still relevant eventoday. Prof Turner said Nursi and several Muslim thinkers such as Jamaluddin Afghani advocated learning the sciences not for the sake of material gain or any worldly benefit, but for the greater glory of Allah as the ultimate objective. Nursi and others described the Western model as Self-Referential, that is knowledge for its own sake. Nursi felt no knowledge is profane orirreligious. Everything that can be learnt is done so as to find out about Allah’s laws and creations, which makes them sacred. So, according to Nursi, life is not a combination of the sacred and the profane. Everything in the world, said the Turkish scholar, is sacred because everything comes from the Creator. Mrs MahsidTurner, who did her Masters titled “Can the effect of religion and spirituality be scientifically measured?” said Nursi alluded to the question in one of his books. She explained that Nursi concluded that Taqwa or piety cannot be quantified because no one can be sure of determining intrinsic and extrinsic religion. What that means is a person can look religious on the outside (extrinsic), but no one can be sure of his own true intentions (intrinsic) other than the person himself. Actuallythe cynical Nursi was reprehending society’s perceptions that people who dressed piously or modestly were religious, a practice evident even today, Mrs Turner said. Said Nursi was given the moniker Bediüzzaman, which means “The Wonder of the Age“. Scholars divided Nursi’s life into two phases; the “Early Said”, and the “Later Said”. The first phase covered his humble birth to Kurdish farmers, his formative years in school where he outshone even his teachers and his interest in the sciences which attracted the attention of the Governor of Van province. He had access to the latest technological papers at the governor’s library and planned to go to university. 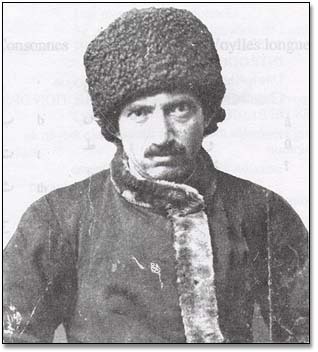 However, he got into trouble with the Ottoman government when he was deemed to have gone too far in introducing education reforms after his graduation and sent to exile. In the second phase, his career as an educator was somewhat rehabilitated after the First World War and the revolution that brought Kamal Ataturk to power. However, his powerful writings, which slammed the new regime for being to westernised, attracted the attention of Ataturk himself, who offered him the post of Minister of Religious Affairs – which he declined. He continued with his writings, which were copied down by loyal followers and spread throughout the new republic. Nursi became such a powerful influence that he was sent to exile again. He was finally released in 1949. In the last decade of his life, he saw the introduction of the multi-party system and advised his followers to vote for the Democratic Party of Adnan Menderes which gained the support of the rural and conservative populations. In 1956 he was allowed to have his writings printed. His books are collected under the name The Collection Of Risale -i- Nur.